The SMiLE Sessions: A Window Into The Beach Boys SMiLE may be the most famous unreleased album of all time, but it's not really unreleased: Bits and pieces of it wound up on other Beach Boys albums. Now that EMI has assembled a definitive collection of the session tracks, Ed Ward has listened to them — and wonders what the shouting was about. In the early days of high fidelity, which I remember from childhood, the idea was that it was "almost like being there" when you listened to a record, something the old recordings never really delivered. The five CDs and six-plus hours of The SMiLE Sessions are certainly almost like being there, in the studio with the studio musicians — and, occasionally, The Beach Boys themselves — and Brian Wilson, as he tried to realize something he heard in his head. Wilson never quite accomplished this, though. Not, as legend has it, because he was whacked out of his mind on LSD all the time and coming apart at the seams. No, music has the ability to get into your mind and make you hear things you want to accomplish. If you're an ultra-talented musician like Brian Wilson, you'll try, especially if your record company is willing to commit almost unlimited time and funds to your doing so. What he was doing was almost unheard-of at the time. He called what he was doing "feels," and, later — and more accurately — "modules." He'd record a musical module and then splice and mix it into the whole. But even so, he was frustrated: He may or may not have realized this at the time, but the technology for doing what he wanted didn't exist yet. Instead, he had to deal with the old standbys: recording tape, razor blades to cut it, and editing tape to stick one piece onto another. I've done it with very basic recordings. It's nerve-wracking. Two excerpts from "Heroes and Villains" show finished versions of two modules that wound up in the final record. This song, which was released, was finished. Not all of the others were. There were several basic problems. First, Wilson getting what he was hearing in his head onto tape. Second, there was incredible pressure to follow up "Good Vibrations," a song which had emerged during the recording of The Beach Boys' last album, Pet Sounds. 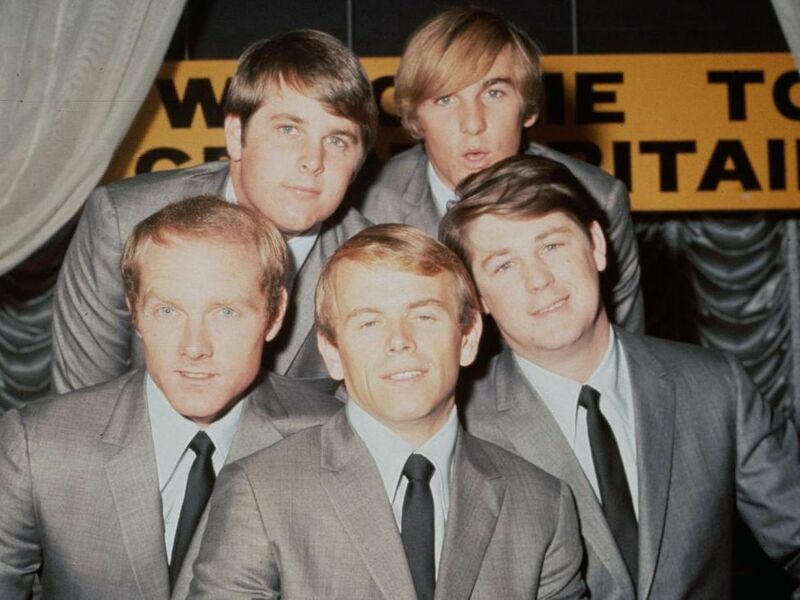 "Good Vibrations" took people by surprise, and became the group's best-selling single ever. Wilson heard three different room sounds in three different studios and recorded modules in each of them over a six-month period between February and August 1966. The idea that SMiLE would be an album of that complexity had to cause stress. And then there were business problems, as the group transferred its work to a label, Brother Records, it had been given by Capitol. Capitol didn't like that, and wanted a last album, SMiLE. Mike Love famously didn't like the lyrics, either. Brian Wilson shelved the project in late 1967. So it wasn't a building near Gold Star Studios burning after Wilson recorded the "Mrs. O'Leary's Cow" session that doomed SMiLE. It was, simply, that it was impossible. At least for the moment: He revisited the album in 2004 with another band, and that was used as the template for reconstructing this latest version. It's good to hear the original voices singing the music, but the five-disc session highlights are strictly for the fanatics. With its endless revisions, studio chatter and retakes, except for the disc on which we can hear "Good Vibrations" evolve, it's just like being there.